Let MailPak help your distribution company utilize best in class GPS and verification technology. Our system helps minimize the headaches and uncertainty of door-to-door distribution, while creating an efficient and verified delivery network for Publishers and Distributors. Effectively track routes to ensure they are being completed in a timely manner. Provide GPS information to establish delivery verification. Use analytical data to help drive down expenses and increase controls. Provide third party information for your internal and external auditing agencies and advertiser clients. Leverage real time reporting and dashboard management tools. Allows independent verifiers to report the quality of delivery of your products through real time tracking. Devices capture address, longitude & latitude coordinates, and photos to validate delivery. Provides detailed reports and analytics. 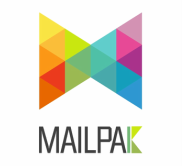 MailPak's system can be used on a single platform for multiple distributors contracted on a single campaign. This allows full visibility for all publishers and distributors involved. Please contact a MailPak representative to discuss your GPS tracking needs.